Mom and I were driving home the other day when she asked me if that man in our alley was wearing a hazmat suit. I peered beyond her and declared it was a beekeeper!! We immediately halted the car, rolled down the windows, and fairly mobbed him with questions. 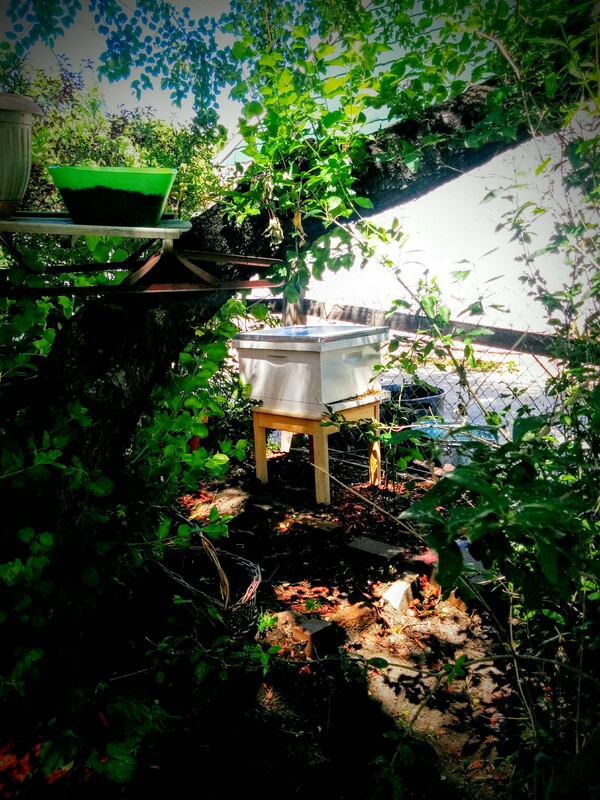 He is an Urban Farmer and beekeeper. 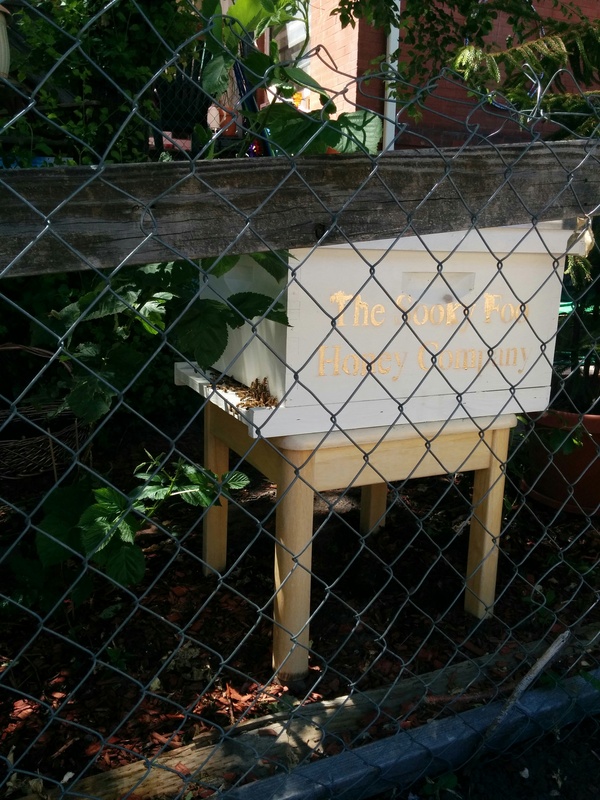 He has a hive a few doors down from us and soon will put one in our yard! 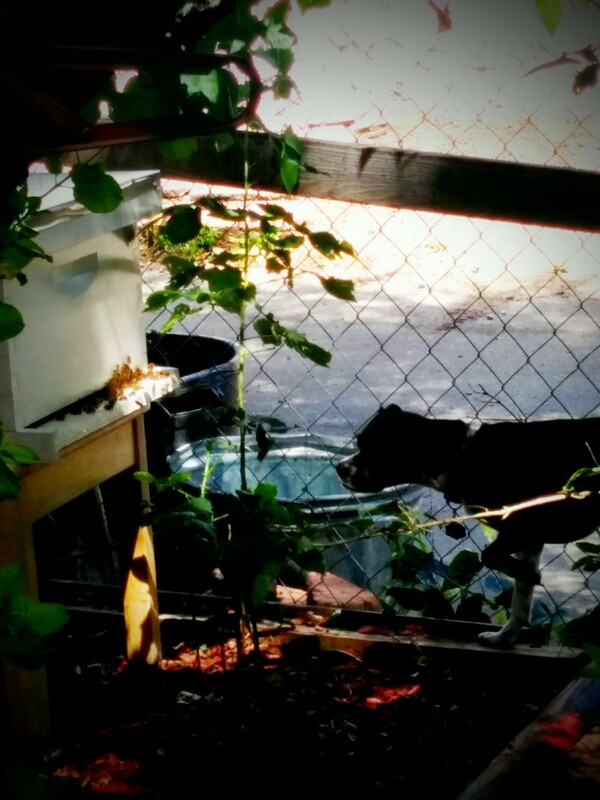 He does all the maintenance and beekeeping while we get honey and bees!! My plants will have more bees and I can finally feel like I’m doing more for the vanishing bee population than just planting flowers. Best of all my kids will get as-local-as-you-can-get honey for their allergies and they will get to learn about co-existing with these amazing time creatures that do so much for our food supply. Oliver and I have already been setting out water for the neighborhood bees and we sit in the garden and watch them line up to drink. Their tiny furry bodies rest on the edge of the water pool as they delicately sip. Yum. He is super excited to have a hive of our own and has been telling me all about how to stay still when they land on you so they don’t feel threatened. I plan to put up a page on the hive’s progress so keep your eyes out! The Sooky Foo Honey Company brought our lovely little hive early this afternoon! It’s so wonderful to see them out in the garden. Many of our neighbors have stopped by to see them and the dog has already been checking them out.